The TruScan Serial Number is printed on a label affixed to the back of the instrument. 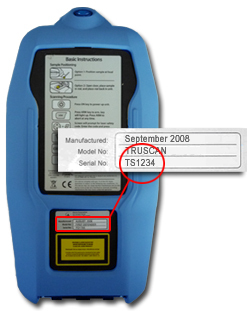 NOTE: TruScan serial numbers are identified by the letters "TS" followed by 4 numbers. No other configuration is valid. Login to your TruScan with your user credentials. 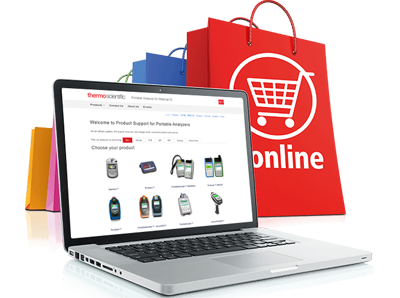 Select Tools >> Settings >> Support on your TruScan to obtain the Support Code. Please note: the Support Code changes on a daily basis. 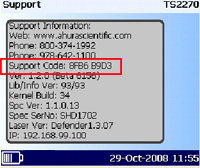 In TruScan 1.1.1, only the administrator is able to access the support code page. Please contact your administrator for support.